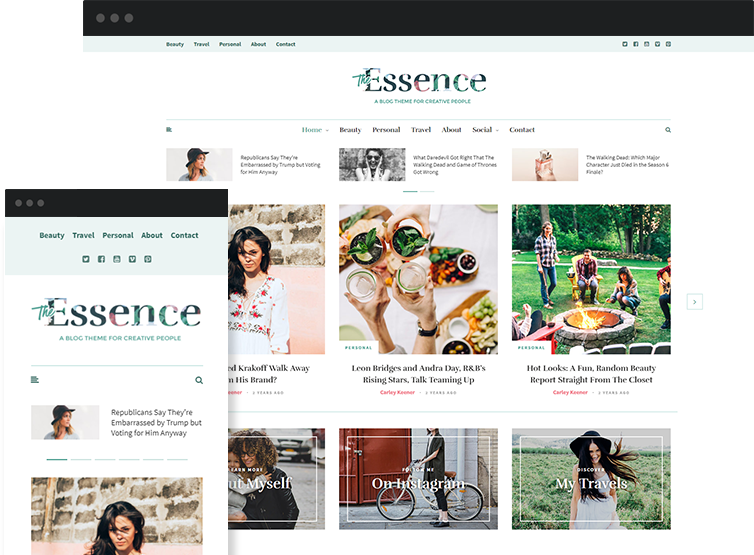 A feminine WordPress theme for all types of creatives. Flexible enough to make your own...simple enough for anyone to use. The perfect magazine or blogging theme for your next project. 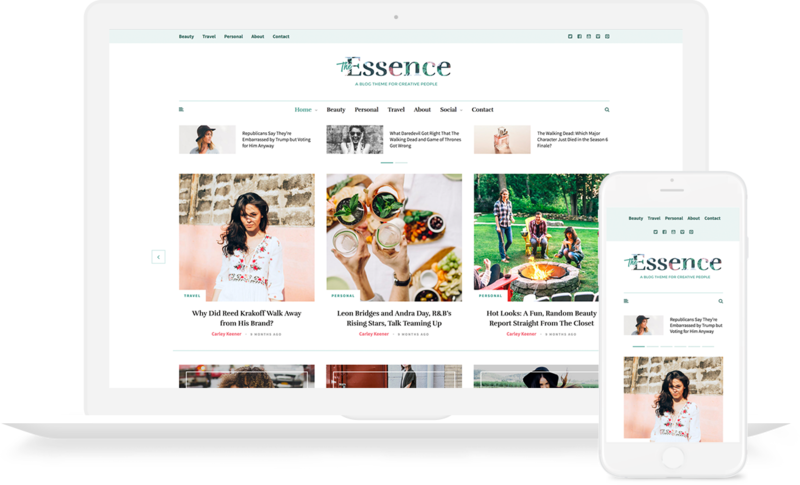 The Essence automatically adapts to whatever device your reader is using. With a fully responsive design, your site will look just right every single time. 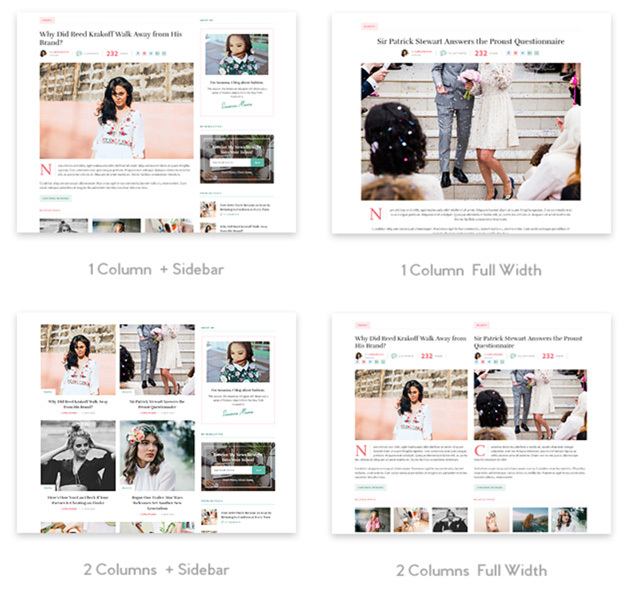 Choose from 17 different blog layouts to find the style that’s perfect for your site. 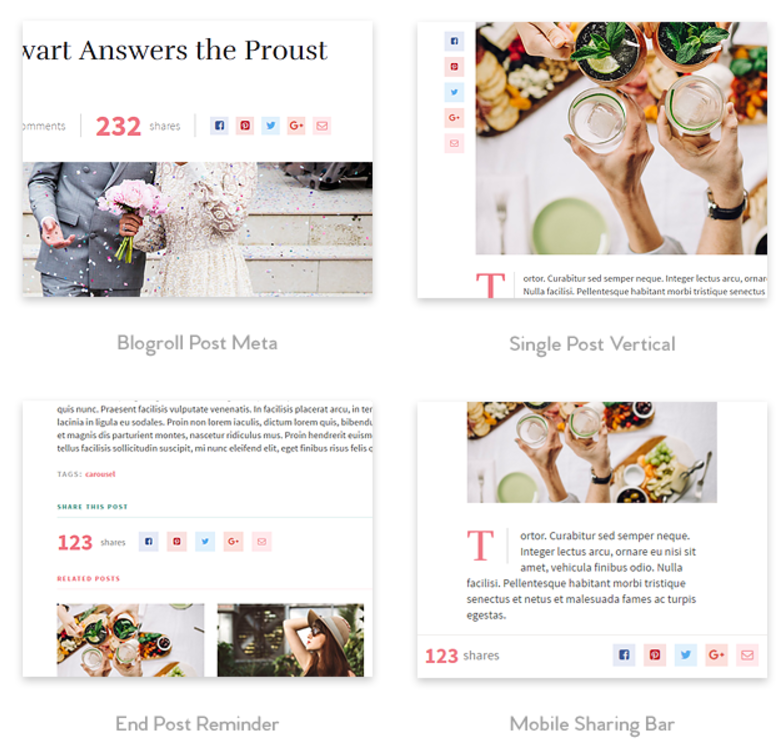 Play around with column and sidebar combinations until your find one that you love. Integrated social sharing icons make it easy for your readers to share your content. You can add your buttons above or below your content, on the side, or as a floating bar. No need to search for a third-party social sharing plugin. 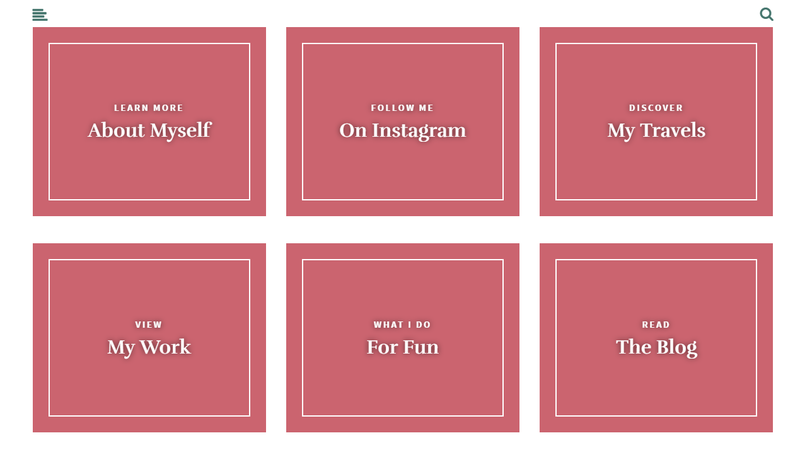 We built custom widgets so that you can easily display your Instagram feed and social profiles. All you need to do is drag the widget where you want to display your Instagram photos or social follow icons. Create a gorgeous homepage with our built-in promo boxes. Easily change text, URLs, and background images. When enabled, these boxes display above your content on your homepage. 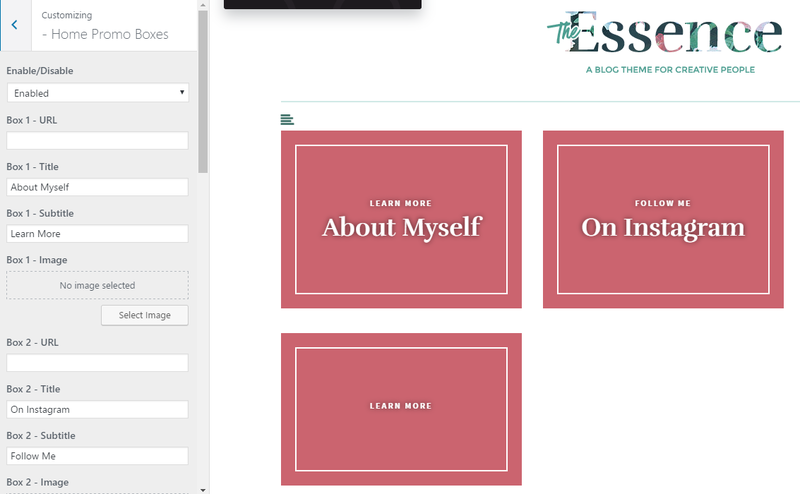 The Essence harnesses the full power of the WordPress Customizer for easy real-time changes. Tack on the included Meridian Styler plugin, and you can create a unique website without knowing a single line of code.